Spirulina is a naturally occurring blue-green algae renowned for its intense flavour and even more powerful nutritional profile! It is particularly rich in protein and contains 57%. Spirulina is also a great source of riboflavin (B2) and iron which contributes to the reduction of tiredness and making it an ideal ingredient for vegetarians and vegans. It's powdered form means that it can easily be added to food and drink to add a superfood boost. 10-15g (3-4 teaspoons) daily into juice, water, smoothie, yoghurt, cereal, dips, baking or other foods you enjoy daily. 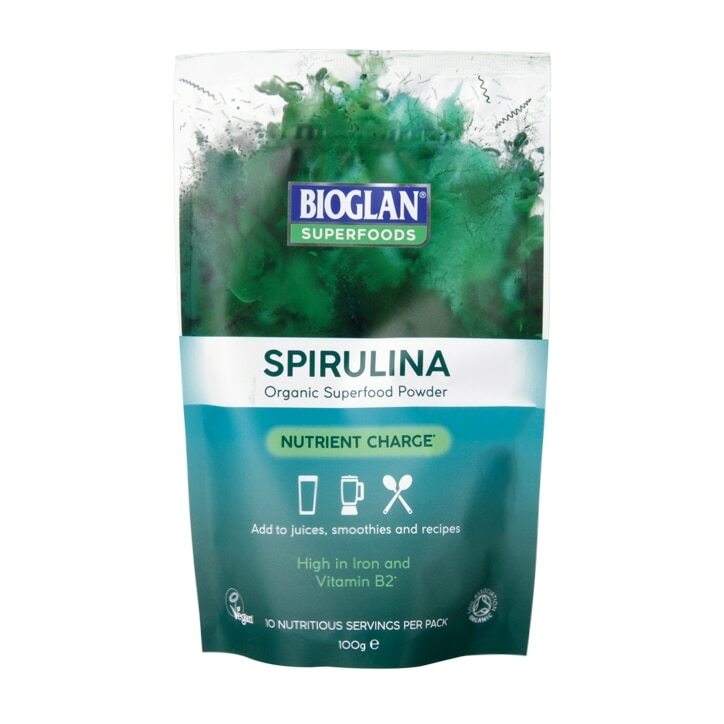 Bioglan Spirulina Powder is rated 4.5 out of 5 by 6. Rated 5 out of 5 by Polly64 from Energy boost for me. Great product,very enjoyable mixed in breakfast cereals and fab in smoothies,I mix with banana and mango,great energy boost. Rated 2 out of 5 by mariana from This product is very difficult to blend. I won't be buying it again. Rated 5 out of 5 by fitch from the best spirulina I have used other makes before but this is the best tasting and mixing powder I have used.